Do You Know Who You Are and Who You Are Not? Most of us do not really know who we are –a spark of divine energy. Do you realize that you were born to have your unique expression be a contribution to the world? Most of us think we are our labels, our gender, race, ethnicity, religion or our roles, parent, worker, son or daughter, spouse. Think kind of thinking only derails our relationship with our beautiful soul and its unlimited possibilities. Some of us allow ourselves to be defined though the eyes and reactions of others. Our identity, self-esteem, self-worth then rests on the opinions of others. This is an intrinsic part of the human journey. A child learns who he or she is from the mirror of the mother’s face reflecting back her attitudes and judgments rather that the pure soul her child is. 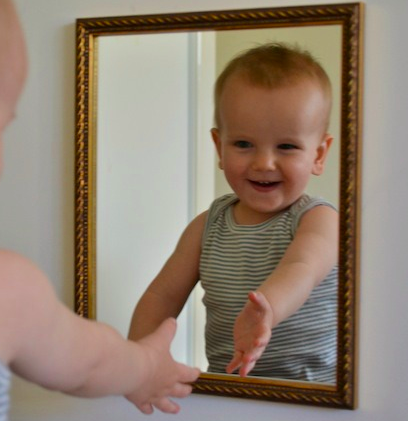 If this reflection is positive the child incorporates good feelings and thoughts about self. However, if unfortunately the reflection is negative the child believes what he or she sees and feels and incorporates, sad thoughts or feelings about their denigrated self image and believe that is who they are. It is our task to recover our inner knowing of our true magnificence so that we “know” what is our birthright despite a material world that values possessions over people and money over meaning. When we have the willingness to confront our ingrained beliefs, our emotional pain, and our entrenched patterns of behavior, we are free to participate in life in a new way from a new perspective. Then we can break away from self-imposed barriers and live our lives to the fullest.